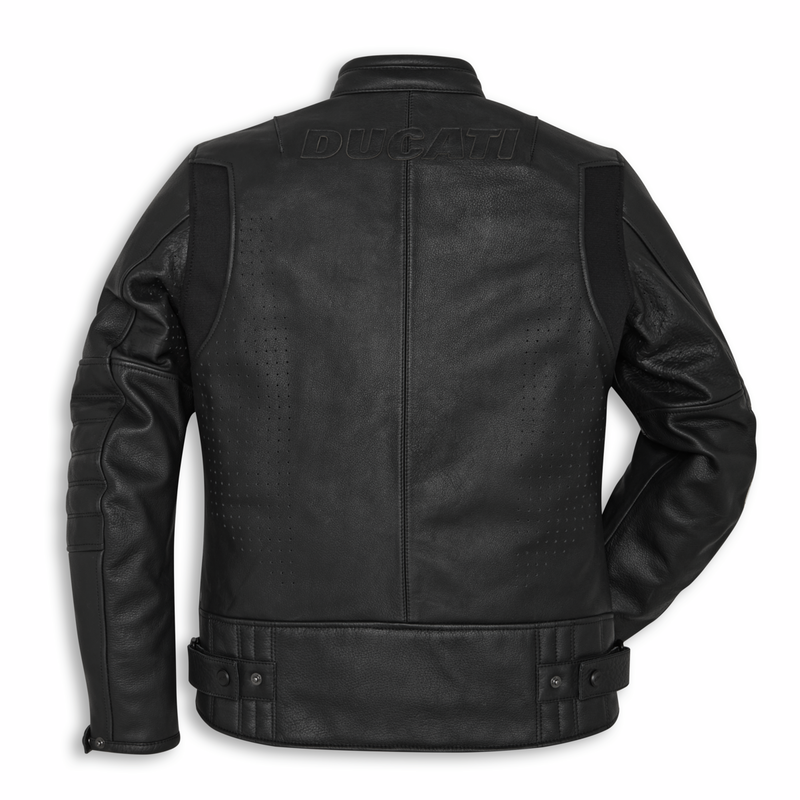 The Downtown C1 leather jacket, made of soft full grain buffalo leather, has volume and ergonomics developed specifically for urban riding. 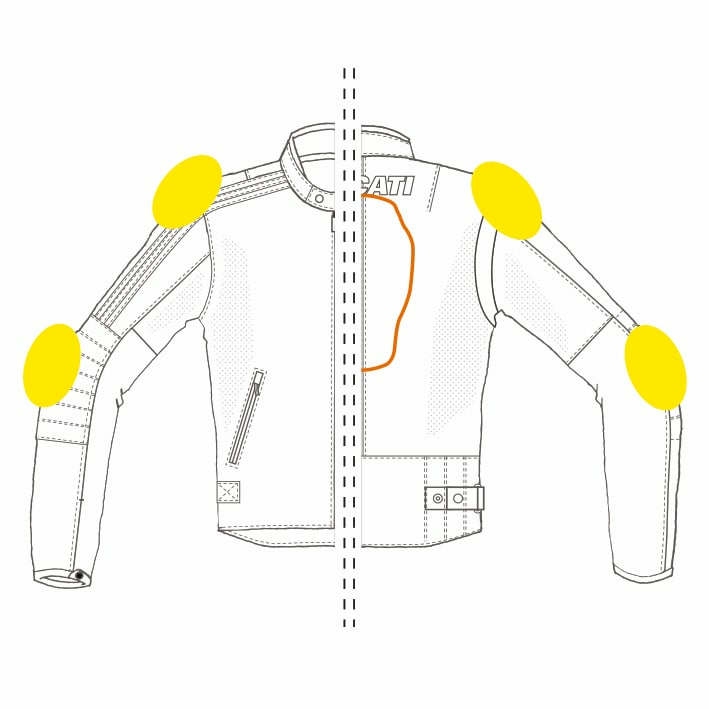 The modern and minimalist design of the garment, created by Drudi Performance, coexists with important safety features like shoulder and elbow protectors, connection to the trousers with a double strap, a pocket for the insertion of a back protector (to be ordered separately), and CE certification according to the latest European standards. 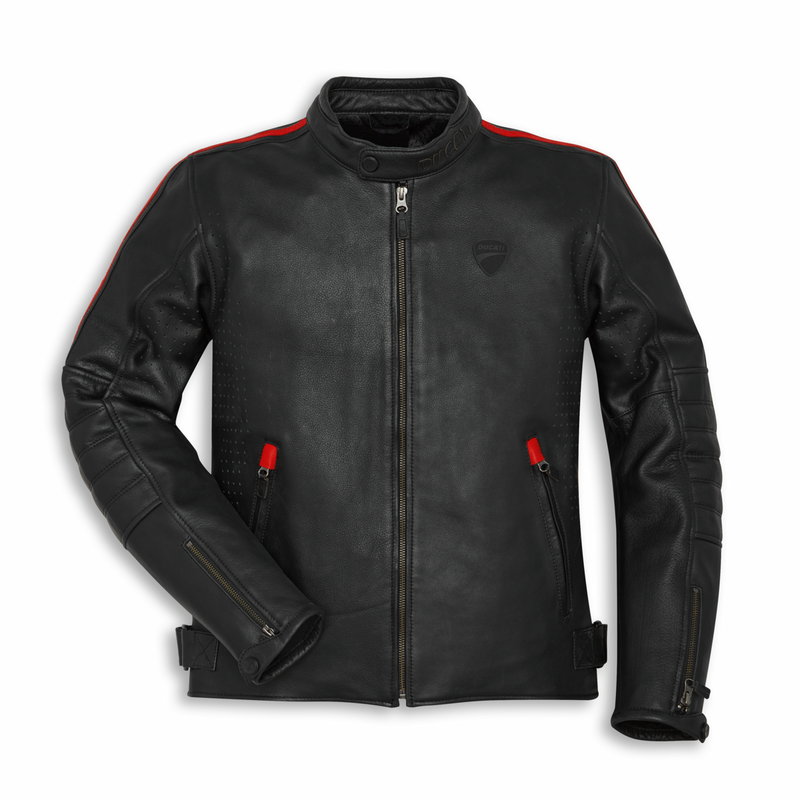 Produced by Alpinestars exclusively for Ducati, it is available only in perforated and men’s version.